Playing above the rim vs. below the rim is a complete game-changer. While there are many skills and physical traits that go into being a good basketball player, being an explosive athlete who can out-jump your competition makes a big difference on the court. What you do in the weight room can have a huge impact on unlocking your jumping potential. 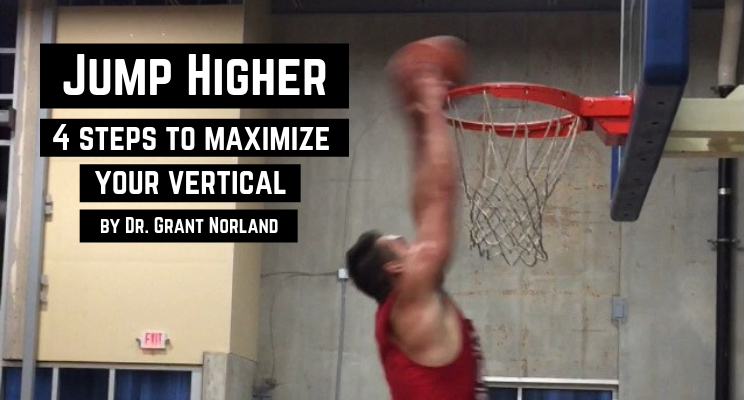 This is an outline with video examples of how to maximize increases in your vertical jump. It’s a process that needs to be completed in sequential order to achieve optimal results. Step 1: Start with core stability. The more stable your core is, the more force you can produce with the big muscles (like glutes) that attach to it. Not only will this improve your performance, but also has implications for preventing common injuries, like tendonitis in the knees (jumper’s knee). 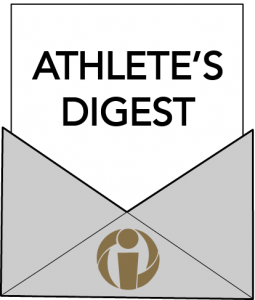 This is the most commonly skipped step in developing athletes, but is a critical component that effects all the rest of the steps in the process. These are examples of some of the exercises that will help you improve postural control and core stability when jumping and landing. On all of these exercises, the goal is to keep your core as stable as possible so that you do not let your core bend forward or backwards while you are moving your arms or legs. Step 2: Learn to land first. One of the biggest reasons why basketball players have knee problems is bad landing technique. Learning to land properly will keep some of those injuries away and help you be more stable so you can be more powerful when pushing off the ground to jump. Even when you’re jumping from a stand-still, you still have a “loading phase” where you drop down into a squat just like you do when you land. That’s why it is so important to learn the proper landing positions, which also translate to the take-off of the jump. Notice the posture when landing. Hips are back and the back stays straight, but leans forward over the toes. Landing happens on the ball of the foot first and rocks back toward the heel. Also, notice that the landing has a quick stop to it. It isn’t a land and stop, but a quick stop. This allow for a quicker, more powerful, rebound from a landing, allowing you to jump higher after landing. Step 3: Develop eccentric control. One piece of improving landing technique and the ability to jump higher is called eccentric control, which is your ability to control your body when going into a landing or a squat. These are two exercises that will help develop eccentric control. Eccentric squats involve squatting slowly with control and then returning to standing. This helps build strength and control on the way down into the squat or landing position. The drop-in deadlift hold helps an athlete control a faster squat, which mimics preparing to jump or a landing position. Stopping quicker, with better control, at the bottom of that movement enables you to produce more power and ultimately jump higher. Step 4: Build explosive power and reactive force. When you have a strong and stable foundation to work from, it’s time to make yourself as explosive as possible. These types of exercises are what will help you actually increase your vertical the most, but they have to be done in the right order, after a foundation is established in steps 1-3. There are hundreds of variations of plyometric exercises that are good for improving your ability to jump higher. These are a few examples. These 12 exercises are great for helping you improve your vertical jump, but by no means is this a comprehensive program and there is no substitute for working with a professional coach or trainer. This article is meant to provide a framework and introduction to the concepts that will help you improve your ability to jump higher. I hope you found this interesting and helpful. If you did, please take a moment to share it on social media using the links above or below, or leave a comment on Twitter @DrG_PT and let me know what you think. Follow Dr. G on Instagram and Twitter.